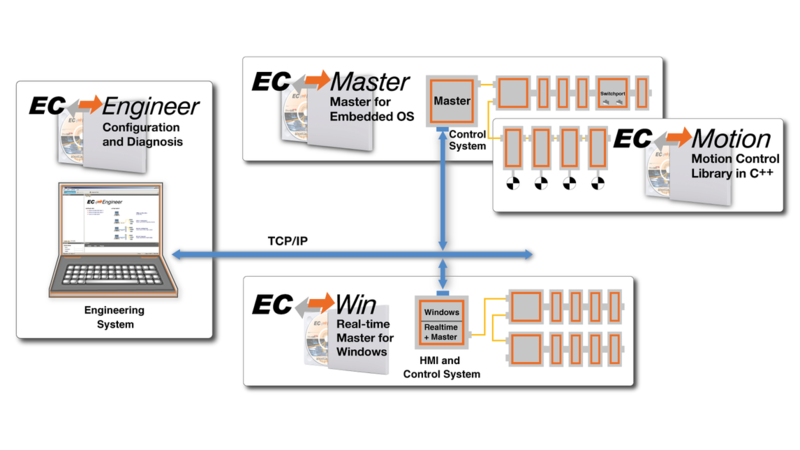 The EC-Master Stack is designed and optimized to run on different embedded (real time) operating systems. Already existing implementations are available Linux (with and without Real-Time), Windows® 7/8/10, VxWorks, QNX, RTX, INtime®, Integrity, Xenomai, On Time RTOS-32, RTEMS, FreeRTOS, eCos, TI-RTOS, T-Kernel and more operating systems. The EtherCAT master stack can be ported on any other embedded operating systems.